When I saw the estimate for our kitchen renovation, my jaw dropped. But putting on my kitchen planner hat, I was able to save tens of thousands of dollars — and you can too. The answer is 'a lot.' According to Remodeling, in our area of New York City a major upscale kitchen renovation is estimated to cost an eye-popping $155,000; in St. Louis the same grade kitchen remodel is $135,000; in Houston it's $125,000. 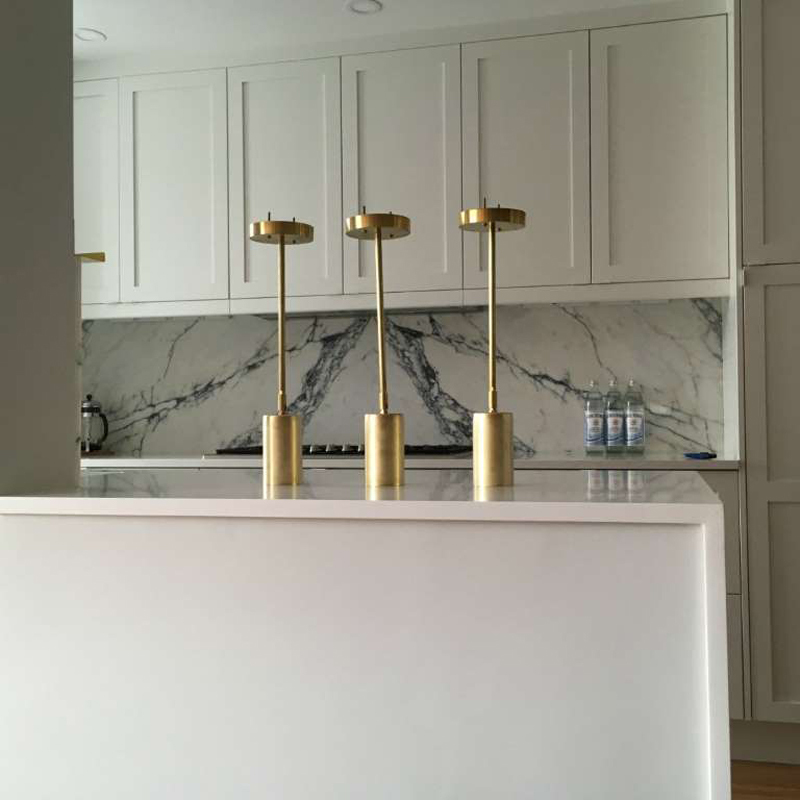 Costs vary depending on the size of kitchen, scope of work, and region of the country, and especially on the fixtures and materials you choose. Remodeling breaks out projects into three grades: minor, major-midrange, and major-upscale. And that's important, because if you're planning to replace everything; change the footprint; move plumbing, gas, or electric; or take down walls — all of which we did — that's a major project. And if you want fully integrated panel-ready appliances, solid shaker doors, and stone countertops — as we did — that's considered upscale. 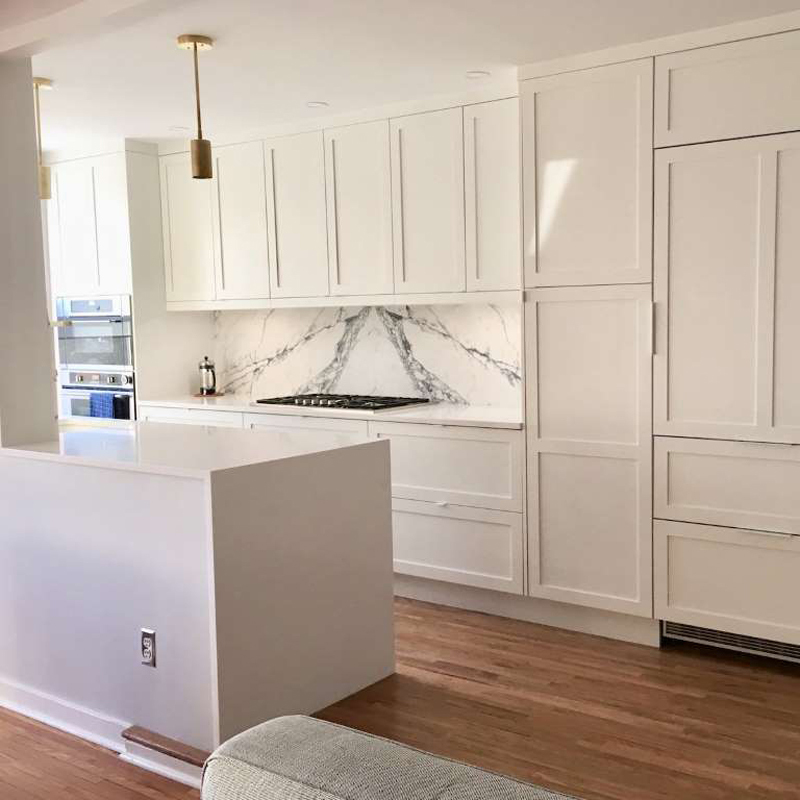 Had we had been able to keep the footprint, reface the cabinets, install laminate countertops, and retain some of the original appliances — a minor remodel — the cost would have been more like $28,000 in our area. A midrange remodel, with semi-custom cabinets, new countertops and appliances, and an island would be about $81,000. Most homeowners are able to land somewhere between minor and midrange. According to Houzz, the national average spend is about $42,000. But we'd bought a real fixer-upper, fully knowing we'd need to open up this 1946 home's dark, cramped galley kitchen. The good news? Where most upscale renovations in New York City require an architect, engineer, and special permits, ours didn't. And where Remodeling bases estimates on a 200-sq.-ft. kitchen, ours being in a metro urban city is much smaller at 140 sq. ft. I promised my better half that we could get a major upscale remodel at a close to midrange price, and we set our budget at $95,000. But because this wasn't my first rodeo (I've renovated every home I've owned), I put on my kitchen planner hat and set myself a personal goal to find at least $30,000 in savings. Acting as your own kitchen designer isn't something I'd recommend to everyone. 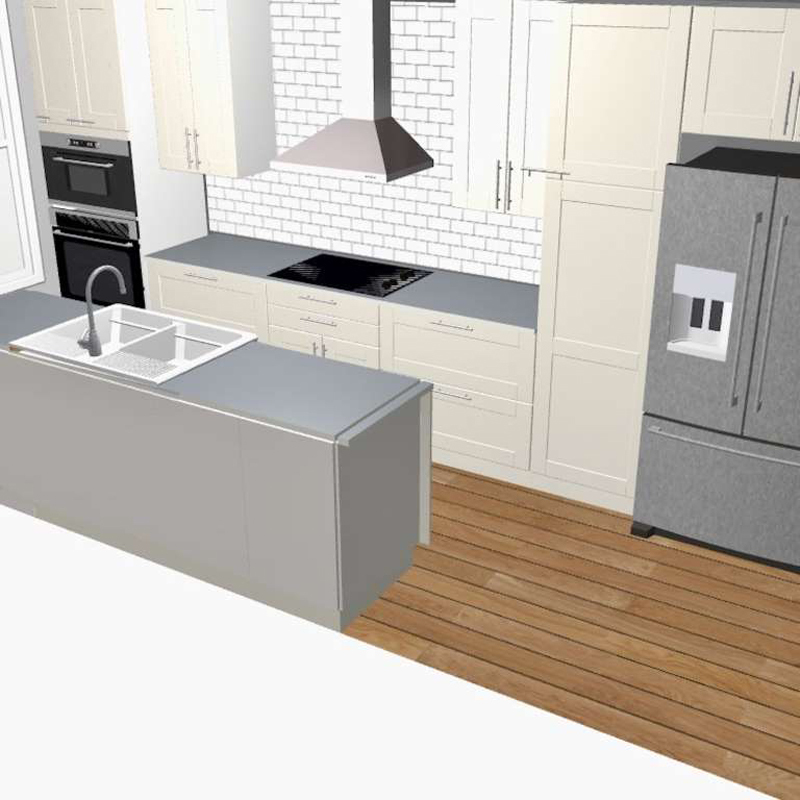 But if you have some renovation experience and are comfortable using design tools like Photoshop and Google SketchUp, you'll find the IKEA kitchen planner tool a breeze to use, and there are helpful tutorials for both it and SketchUp on YouTube that will get you up to speed. 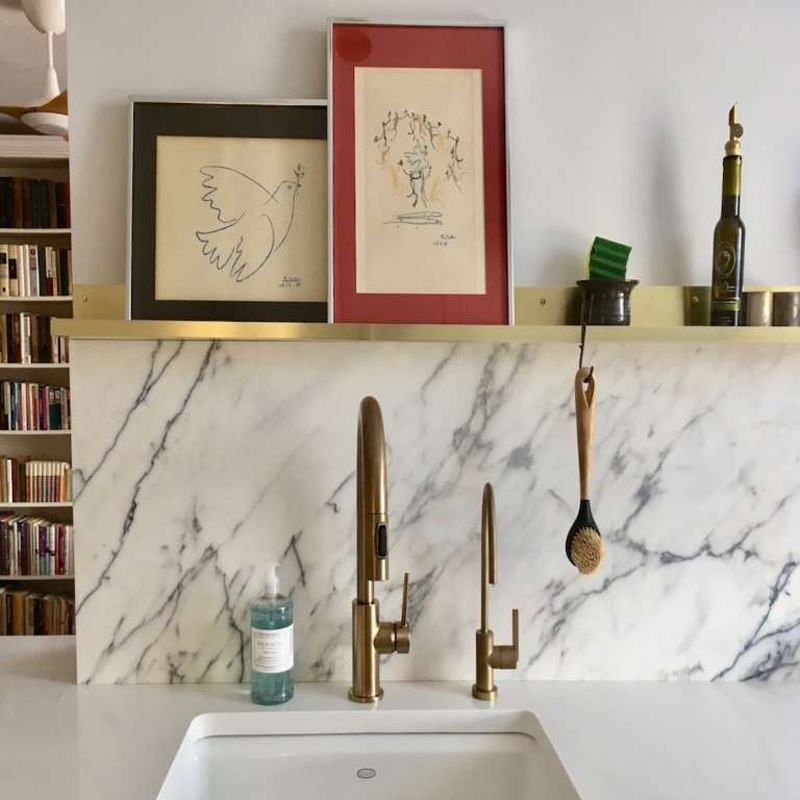 I grew up in a family of renovators, so I know firsthand how remodeling projects come together and how to source materials. A career in digital publishing made me an early adopter of Pinterest, Instagram, and Houzz and conversant with design tools. So I knew what I wanted and I knew how to draw up professional-level plans to convey it all to my contractor. It saved me a lot of money. According to Angie's List: 'For kitchen designers who charge by the hour, the 8-10 percent cost typically breaks down to about $100 to $200 per hour. Kitchens costing $30,000 to remodel will command a designer fee of $3,000, while high-end kitchens with over $100,000 in remodeling costs will have a kitchen design price of about $10,000 and above.' Note that some kitchen designers receive incentives to recommend products from particular manufacturers. If you're hiring one, be sure to ask for transparency around this. Using this service, I was able to see differences in the way three contractors were estimating my project and ask them questions about it. This not only helped me foresee potential challenges with my project but also revealed differences in sub-contractor costs. Some contractors have subs they work with all the time and have locked in a good rate with them. Another contractor may have to pay more for something like framing if they don't have a carpenter on-call, and that extra cost will be passed on to you. I didn't go with the contractor who came in with the lowest bid (and I don't recommend it); but being able to do a bid-level comparison and talk through the differences with my contractor saved me money. 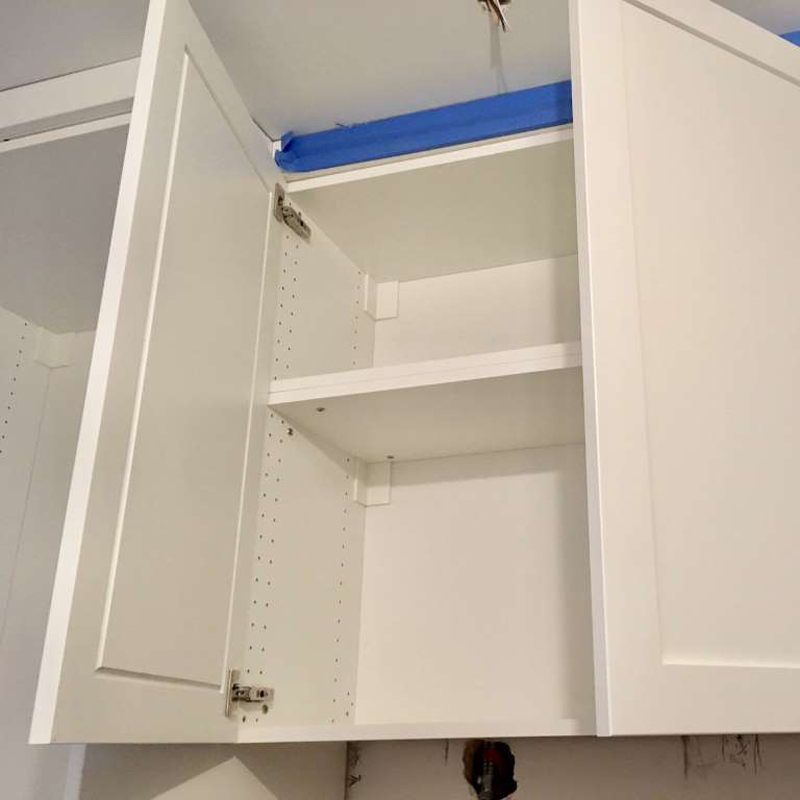 As I started to lay out my kitchen plan, it seemed we were going to need custom or at least semi-custom cabinets, and inwardly I groaned; custom cabinets can be a real budget breaker. At first I didn't see a compromise. 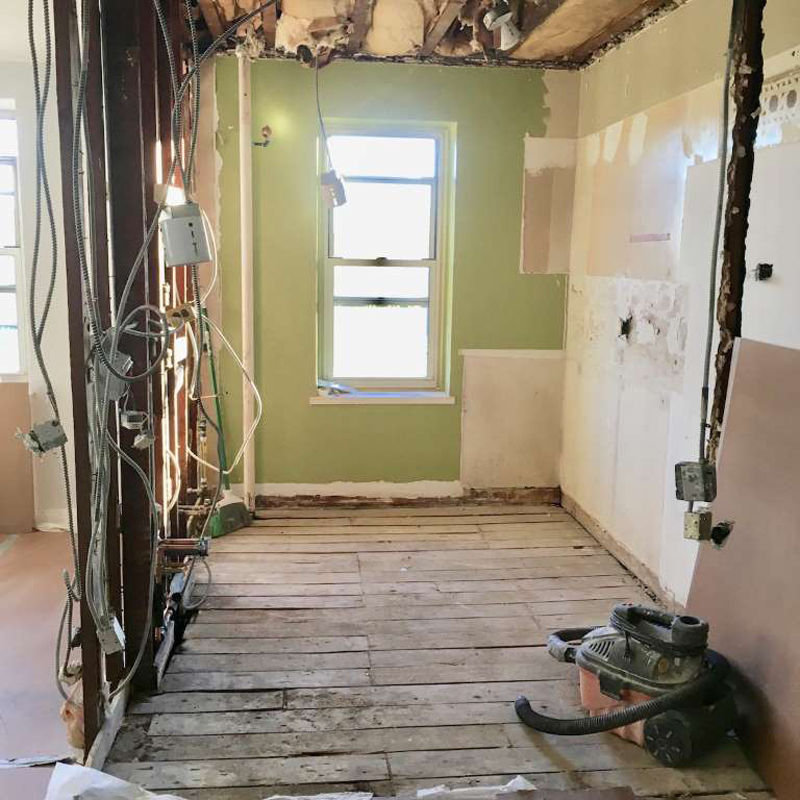 Once the walls came down, this kitchen was going to be visible from the living room, and I didn't want the view to be dominated by hulking appliances. 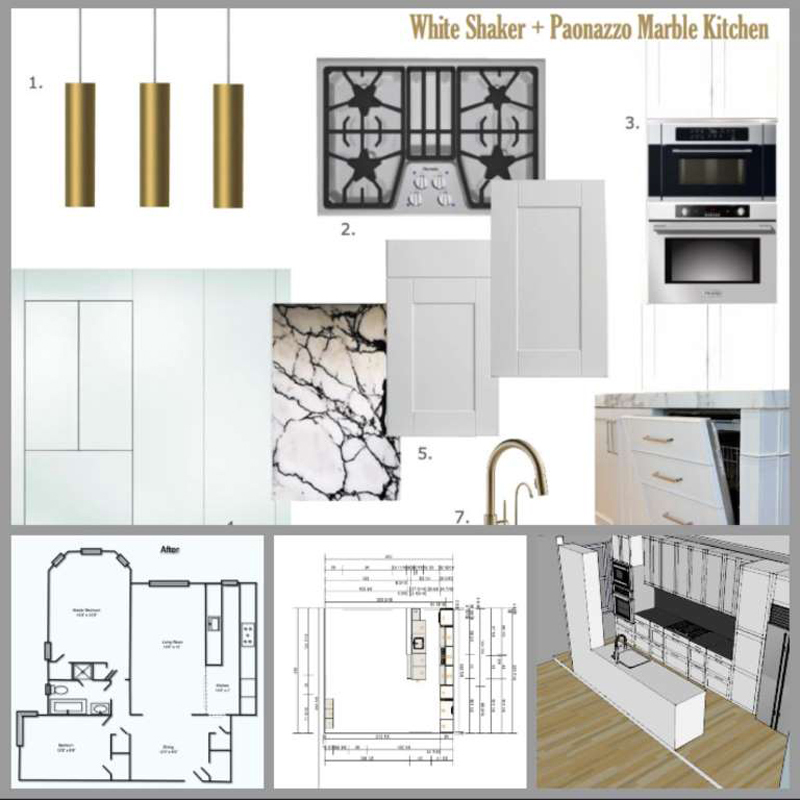 We needed cabinetry that resembled furniture, and I had my heart set on solid maple shaker doors painted bright white. In addition, to achieve the sleek, luxury look I was going for, the perimeter wall cabinets needed to be longer than the standard 30-in. Finally, we had 6-in. at the end of the perimeter run that was too big to plug with filler and look good. A narrow pantry would be the more efficient use of space, but only custom lines can provide one that narrow. I'd used Kraftmaid in a previous renovation and was very happy with the quality. So, to get an idea of ballpark cost, I had my job quoted out with the solid maple doors I wanted plus all of the internal organizers that are an absolute must-have for me. The price came in at an eyebrow-raising $40,000, thanks in part to all those internal organizers I coveted. I had to find a way to do it for less. In two other previous renovations I'd used IKEA. If you're in doubt about the quality of IKEA, look again. They have the same soft-close features and Blum hardware of high-end custom lines, and upscale kitchen designers are starting to take note, according to the New York Times. IKEA internal organizers cost way less than other cabinet manufacturers'. When I met with an IKEA in-store kitchen designer, we quickly arrived at a hack to get a 35-in. wall cabinet — stacked 20-in. and 15-in. cabinets. The only problem: IKEA doesn't make a 35-in. door. But as it turned out, this was no problem at all, because I'd already priced out custom solid maple doors painted Sherwin Williams Extra White from Scherr's — a family-owned cabinet maker in Minot, North Dakota, who makes doors to fit IKEA carcasses, right down the the bore holes for the IKEA hinges. You send them your design from the IKEA kitchen planner tool and they do the rest. Scherr's was able to make other custom size doors for me, as well, so I got my narrow pantry. The combined cost of IKEA boxes and Scherr's doors plus all the internal organizers my heart desired came in at just $15,000. Anyone who is a fan of IKEA knows about the kitchen sale events, which happen a few times a year and run for about six weeks each time. The 15-20 percent discount on cabinets, appliances, countertops, lighting, and drawer and pantry organizers can translate into big savings. Armed with some tricks to get the most out of the IKEA kitchen sale, I was able to save $700—and make their sale adhere to my timeline. To achieve the sleek, high-end look I wanted and avoid building 'the kitchen that ate the living room,' I needed integrated paneled appliances, and they're always the most expensive models. I was able to find savings through a combination of comparison shopping/price matching, rebates, and second-hand sellers. Shopping around online, the appliances I wanted came to about $15,000 new. Wondering if I could do better at a bricks-and-mortar store with a salesperson I could 'deal' with, I reached out to three local kitchen stores for competing bids. One store offered a $500 rebate on last year's model Liebherr paneled refrigerator. This was a big-ticket item, and Liebherr refrigerators never go on sale, so that store became a strong favorite. When I mentioned the price differentials with the other bids, they agreed to price-match the lowest on the wall oven, hood, and freezer drawers, for a savings of $1,800. I was able to cut an additional $400 by sourcing a 36-in. 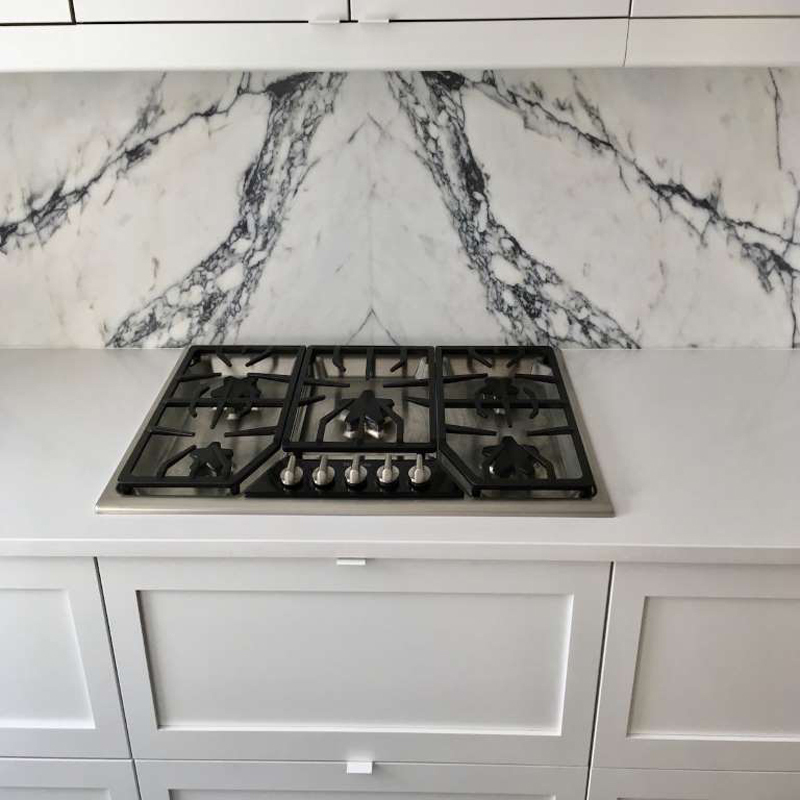 Thermador Masterpiece cooktop — with the 'star' burners I love — second-hand at Renovation Angel, a store that receives donations of never-used appliances from kitchen showrooms and resells them to benefit an addiction charity. Next, I found a Miele paneled dishwasher for just $175 on Craigslist — a whopping $1,600 less than new. I'm not worried about buying a used older model when that model is Miele. 'Miele designs their dishwashers to last 20 years,' says Steve Sheinkopf at Yale Appliance. 'Miele will last roughly twice as long with fewer repairs than any other dishwasher on average.' And, finally, I cut the appliances budget even more by using that IKEA rebate card from the kitchen sale to purchase their Whirlpool-made integrated wall-cabinet microwave, for an additional savings of $700. Our 1946 home has lovely original oak hardwoods. We knew that on at least a portion of the raised platform — the old dining area — the floors were in good shape. We didn't know what we'd find under the old porcelain-tile section. Unfortunately, we found nothing but old pine subfloor. I priced out flooring options, leaning toward slate at $4-$10 per sq. ft. But when I mocked it up in designs, I didn't like the abrupt floor change from the adjoining living room. We decided to salvage what we could of the existing hardwoods and my contractor sourced new planks to match the original 1-1/2-in. ones, which aren't as readily available as the 3-in. or 5-in., and integrated them. 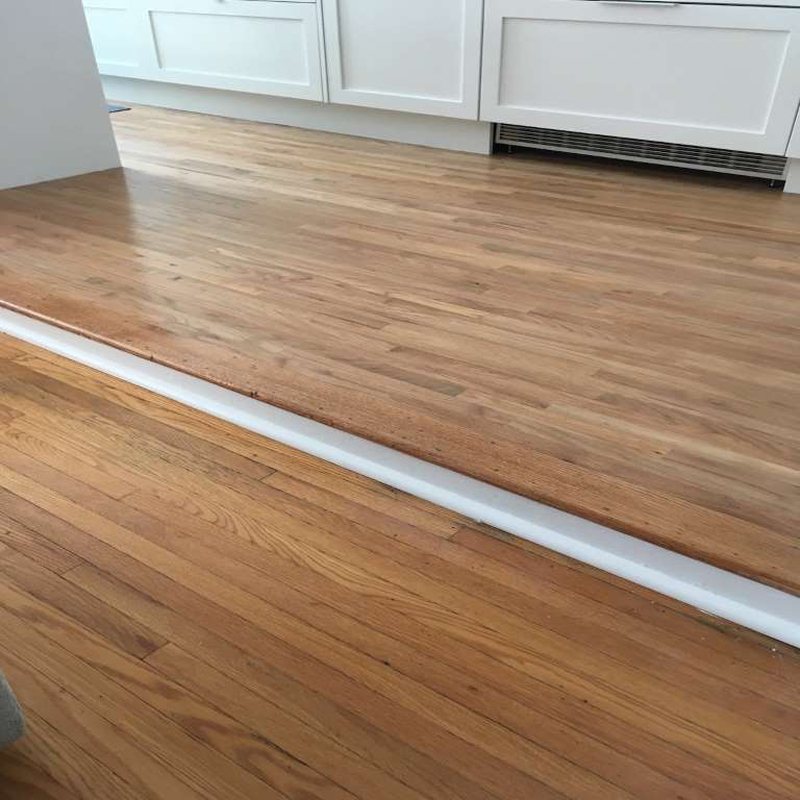 It was a challenge to stain-match 73-year-old floors, but it's a pretty good match — and flooring came in at roughly $1,000, saving us about $500. In past renovations, I've done a good deal of DIY. I've assembled cabinets, painted, tiled, and installed all manner of appliances and fixtures. If you're into DIY, taking on aspects of your renovation can definitely save you money. This time around I was working a full-time job and had family commitments and knew from the get-go that I wouldn't have time. I did manage to pull off one small weekend project: I spray painted a drinking faucet to match the finish on our sink faucet when I couldn't locate a perfect match. Shopping around, I saw an Aquasana model for $178 that was a close finish match, but the wrong style. I found a style match on Wayfair for way less, but it wasn't the right finish. Painting the drinking faucet to match Delta's champagne bronze finish got us an exact match, and saved us an additional $125.